A complete guide to the 6 best rooftop bars in Cannes in 2019. 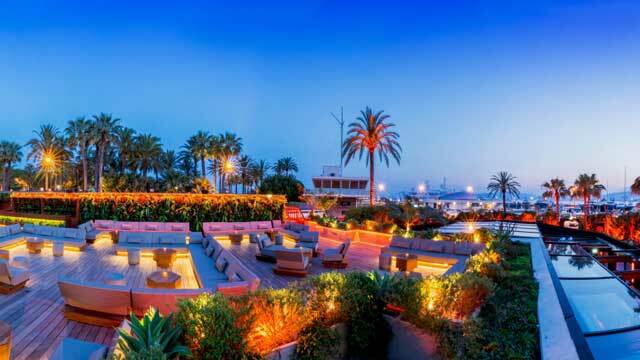 This is the ultimate guide to the best roof terraces in Cannes. Here you'll find the best places to drink with a view at, with all info you need about each rooftop. Opening hours, dress code, pictures, links and much more. Cannes is one of the most luxurious cities in the world. Yachts, festivals, party, jet set and lots of fancy restaurants and bars. Perfect environment for some sky lounges. 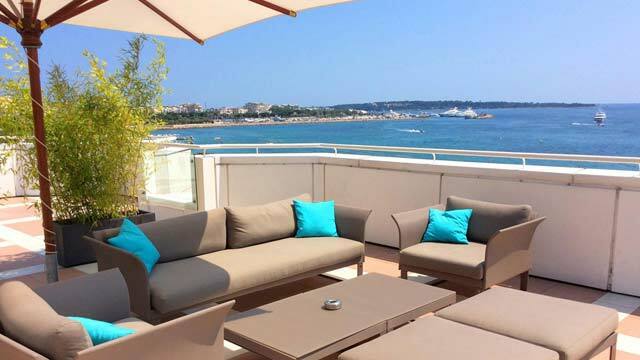 Just scroll down and find the Cannes rooftop bar best suited for you. Or use the Cannes rooftop map in the bottom right corner. 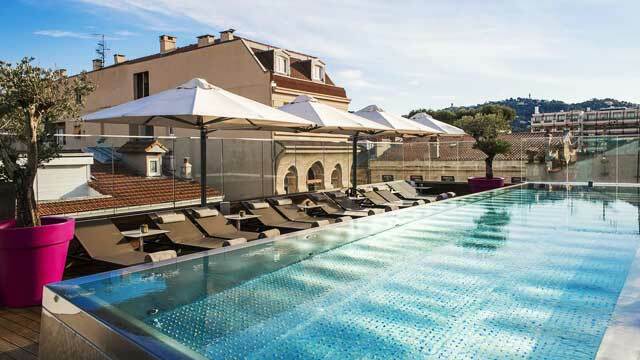 Located on top of the Radisson Blu 1835 Hotel, right by the Le Vieux Port, Le 360 is worthy of its name and offers amazing views, overlooking the Mediterranean Sea, the mountains, the city and harbour. Up here you can also enjoy one of Europe's most beautiful sunsets. Both an indoor gourmet restaurant and a stylish and luxurious rooftop bar and lounge, the large and open-air top floor offers crafted signature cocktails, fine champagne and in the evenings a nice selection of sushi. 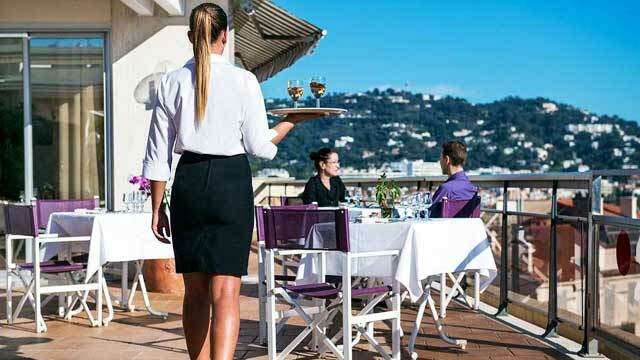 On top of JW Marriott Cannes you find a relaxed and stylish roof terrace called Le Panorama Rooftop Snack & Bar. With location right on the Boulevard de la Croisette, the views over the Mediterranean is absolutely stunning. Up here classic beachside lounge furniture are complemented with regular tables and a refreshing rooftop pool. With a very relaxing vibe, this is a great rooftop bar for a long and sunny lunch or some chill cocktails while looking out over the ocean. 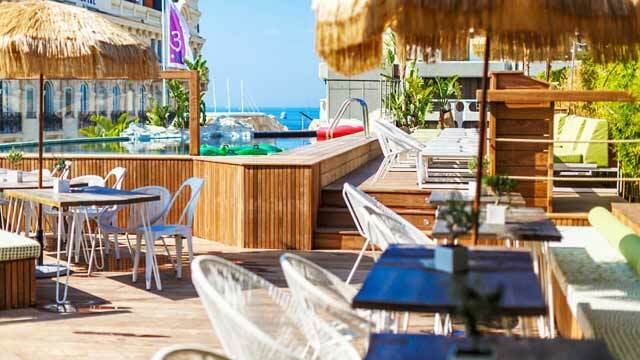 A new sky bar / rooftop bar on the French Riviera! The terrace is overlooking the Cannes Bay, and here you can enjoy a panoramic view opening up to 360-degree on this unique rooftop. The luxurious comfort of the terrace is highlighted by an exotic and elegant design. With a natural and lush feel, the terrace is surrounded by large and comfy lounge sofas, and from the rooftop bar you can enjoy mixology cocktails, homemade appetizers and lounge music. Open nightly during summer for trendy vibes and beautiful sunsets. Up on the roof of the Five Seas Hotel lies a fantastic rooftop pool lounge and cocktail bar. Unlike many other rooftop bars in Cannes, the view here is not towards the sea, butmover the city roofs, ridges and other surroundings. Quite small and cosy, yet luxurious, the mood on the terrace is usually calm and harmonious. 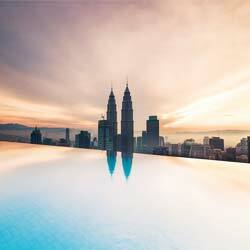 A 13 metre long infinity pool is available for hotel guests, while the rooftop bar is open daily for everyone to enjoy well made cocktails, sometimes events or live music and during summer a pop-up brasserie serving both lunch and dinner. 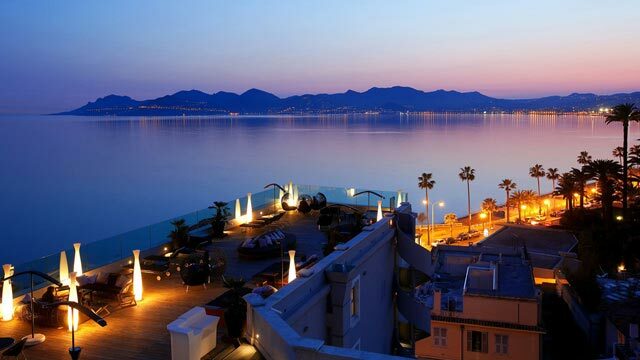 A centrally located rooftop bar and restaurant, offering a beautiful panoramic view of Cannes and the Mediterranean. Perched on top of the aparthotel Hotel Club Maintenon, the sundeck terrace comes with a relaxed setting, perfect to enjoy long sessions in the sun. With seating both indoors and out on the large open air terrace, up here you probably do best sipping on a cocktail or a coffee in one of the lounge furnitures, or enjoy gourmet lunch or dinner in the á la carte restaurant. 3.14 Cannes used to be both hotel, casino and restaurant, but is now only the later two. Located just a block of Boulevard de la Croisette, the casino is equipped with a rooftop terrace that really comes to life during summer. When the sun is shining the gambling is taken to higher (and open air) stakes and you can try to beat the dealer in Black Jack while enjoying 360-views over the ocean and the Cannes rooftops. Or in evenings, enjoy Lebanese cuisine at the ALBAHR rooftop restaurant. 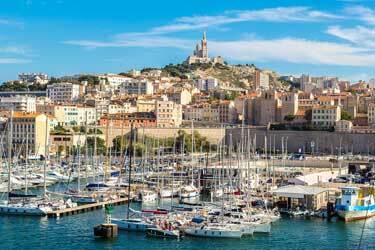 Discover the biggest collection of Cannes activities, guided tours and skip-the-line tickets. Anything you want you'll find right here. 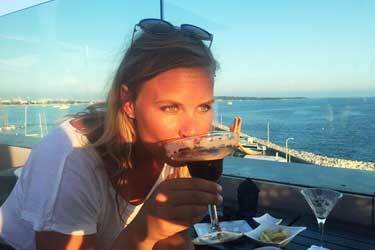 Regarding nice rooftop bars there are a lot if good ones in Cannes. Most of them located on the rooft of some of the city's luxury hotels. 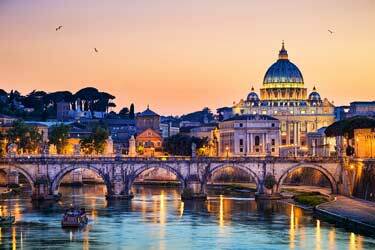 Often with a superb view of the city and the Mediterranean Sea. 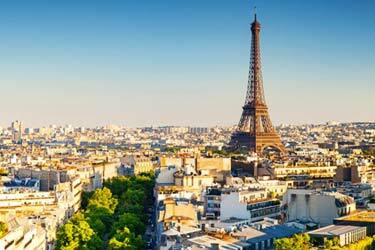 Considering the luxury that abound here you should expect to spend some money if you want to live well. The terraces here often have a fantastic view over the Meditteranean Sea and the surrounding landscape. The best thing to do at the roof bars is to enjoy tasty cocktails during the sunset. Absolutely magical and very Instagram friendly. 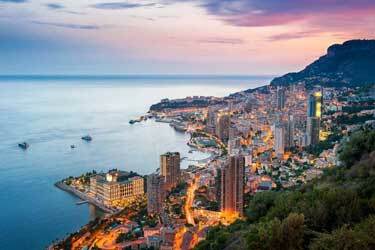 Cannes is located on the French Riviera and is both a city and municipality. In 2010 the municipality had a population of about 75 000. The city is perhaps best known for the annual film festival that is held here. Cannes is considered one of the most exclusive cities in Europe and luxury hotels are everywhere to be seen on the famous boulevard La Croisette. Despite its relatively small size, the city is ver much alive all year round.